Plastics quite easily and often broken, with many things it is a pity to throw away. To solve this problem, you need to purchase a good quality tool that allows you to quickly and securely glue the plastic subject. Conventional means for bonding plastic is a blend of solvents specifically designed for polystyrene. This composition dissolves the upper layers of the material. If smeared this tool to compress the parts together, they merge, become one. After the plastic dries, to separate two bonded parts will be impossible. In addition, a glue is added and transparent polystyrene, which makes the liquid more viscous and easy to use. However, in commercially available and high-quality liquid compositions, for example, Revell - liquid for bonding transparent parts. For working with plastic today, there are both universal and specialized tools firmly and securely connect the surface of plastic. The latter is a complex material. In fact, it is created on the basis of organic polymers. Sealed plastic worse than some other types of materials (e.g., wood or leather) because of its low adhesion. So it should pick up really high quality jointing compounds. If you want to make a very good connection, professionals recommend the use of specialized formulations, designed specifically for plastic. In the world there are many types of plastics, and modern scholars continue to this day to invent new types of such material. Therefore, in order to obtain a quality connection, you need to choose a specific type of plastic. Repair of thermosets to implement because such a material cannot be softening and melting. With this kind of plastic is familiar to many, it is usually made into buttons for clothing, cases for cameras, sockets, plugs and toilet containers. To fix these products, you need to use a specially designed tool stamps BF-2 or BF-4. Work with them should be so: first you want to degrease the break, then apply glue on dry surfaces and slightly dry the resulting layer. Then applied a second coat. It dried in two minutes, and then tightly pressed against the surface to each other and placed in a press. Perfect grip you can get after 3 days. For thermoplastics will also need a separate tool. This material under high temperature well softened, but because it is usually bonded with solvents. Most often it is made handles, soap dishes, combs, eyeglass frames, and toys. A means for fastening items from this material you can even do it yourself. You will need to mix 1 part of the cellulose of sawdust and 2 parts solvent. This mixture should be stored under cover. Also to work with products from thermoplastic materials are perfect tools "MC-1", "Mars", "TS-1", which professionals consider to be the best compositions. 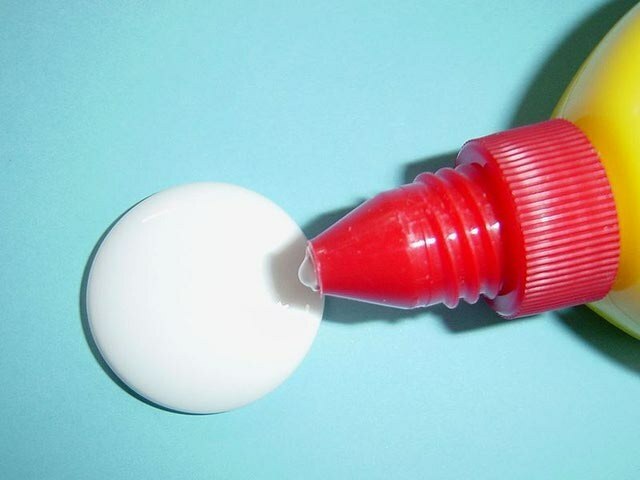 To choose the most effective and good glue for plastic not very easy, because it requires special knowledge and experience in working with such material.